Good Grief! 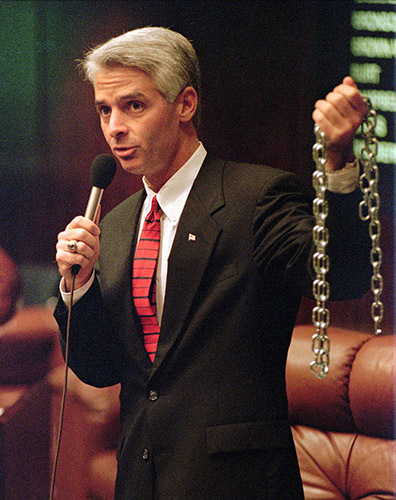 Chain Gang Charlie Crist is back! I thought after 2014, Black folks would have seen the last of this snake slithering through our churches, slobbering on our kids, and pretending to be Frederick Douglass reincarnated. But, alas, with redistricting, and what he sees as a sure thing, a reprieve from Charlie Crist was not to be. Charlie Crist hopes to do what he loves best of all. Not govern, mind you, but be an elected official. Now, before I get into the meat and potatoes of what I have to say, I want to point something out to you that should grate on your nerves as much as it does mine. During the threat of Hurricane Matthew, I went to St. Petersburg to hideout. While I was there, I went to a debate between Ol’ Chain Gang Charlie and David Jolly at the St. Petersburg Yacht Club. As you can imagine, there weren’t very many people of color there. I probably could count us on one hand, and have a couple of fingers left over. Needless to say, Crisco Crist wasn’t spouting President Obama’s name every other word, like he does when he is speaking to Black people. I guess he decided not to treat them like adolescents, who only needed to hear a trigger word to fall in line. They were treated like they had the intelligence to listen to ISSUES, unlike plantation black folks, right? At any rate, I would HOPE black people are tired of being treated like children, in that the only thing Charlie Crist has to do is mention Barack Obama, and he has you and your vote all sewn up. Now, speaking of President Obama. I get it. I know the political games that are played. Make no mistake about it though, after January 20th, 2017, President Obama will not be coming back to get into the political fray with Congress or Hillary Clinton, so while I appreciate him and all that he has done, I’m looking at the CANDIDATE, and Charlie Crist is still the same guy who changes his positions and his core values as often as he changes his underwear! 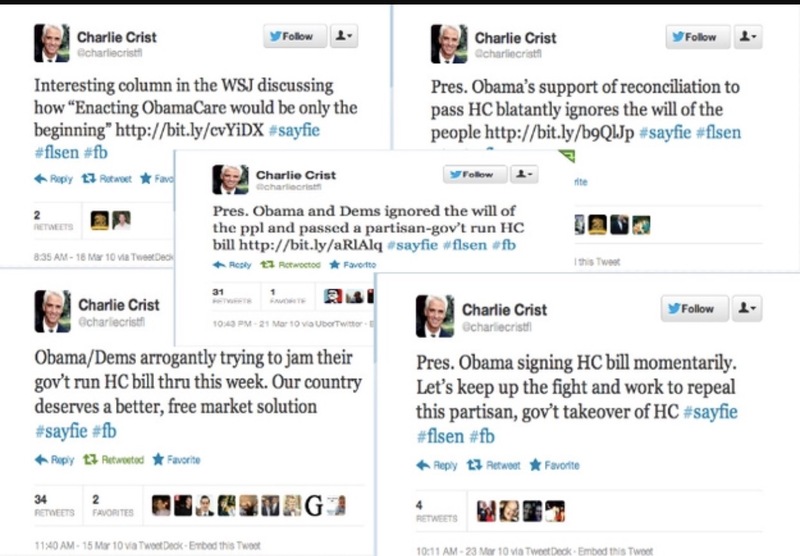 When Crist was trying to please the Republicans, President Obama AND Obamacare were horrible. When Marco Rubio ran him out of the Republican Party and he needed a new home, he decided to run over Kendrick Meek. You guys haven’t forgotten that story, have you? I sure haven’t. 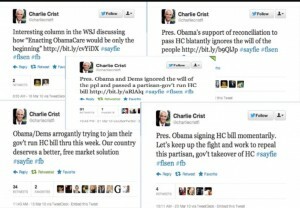 It goes back to the fact that Crist will use Black folks however he can, to get what he wants. Kendrick Meek won the Democratic nomination for the U.S. Senate seat in 2010 fair and square, but because Chain Gang Charlie thought he was entitled to that Senate seat at all costs, he wanted Kendrick, a BLACK man, pushed out of the race for HIM! 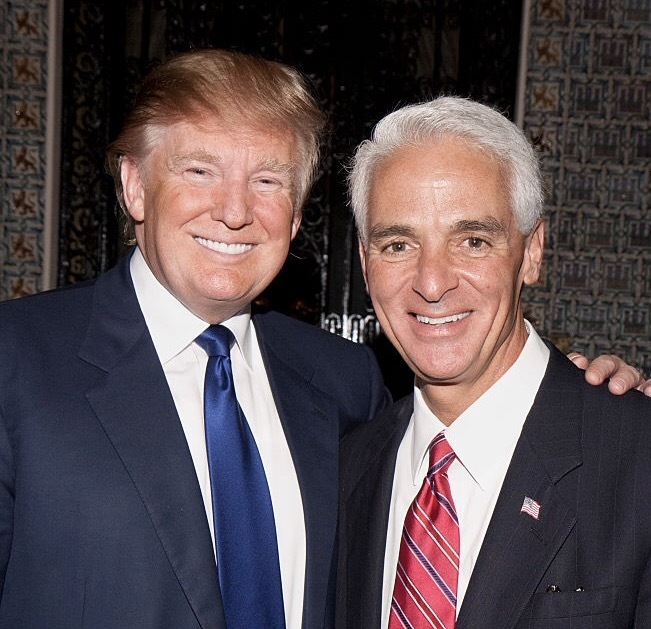 It was at that point that Crist dropped his Republican Party and ran as an Independent, and then started turning other democrats against Kendrick. Run over the the Black man, right Charlie? Reminds me of when Charlie wanted to prove how tough he was on crime, which is how he GOT the name “Chain Gang Charlie”. A name he was proud of and joked about. I see no humor in it, and neither should you. I recently came across a video on YouTube about Charlie and his chain gang Charlie days. I understand that we are a forgiving people, but not everyone is deserving of our forgiveness. Particularly snakes like Charlie Crist. 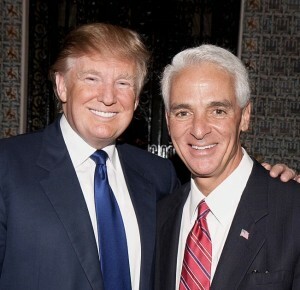 There are phony ads running in CD13 of Crist’s opponent with Donald Trump, but why aren’t they talking about the TRUE relationship between Crist and Trump? I’m going to close with an article that I think is very important to read. It accurately sums up what is happening to the Black community politically. Our issues are being ignored. WE are being ignored, except during the last few weeks of an election cycle, and then it’s only words and photo ops. We have become a captured political group.